On these dark winter days come and get cosy learning to knit. Katy Bevan will support and guide you through how to cast on, master both the knit and purl stitches, basic increase and decreases, and what to do when you drop a stitch (don’t panic!). 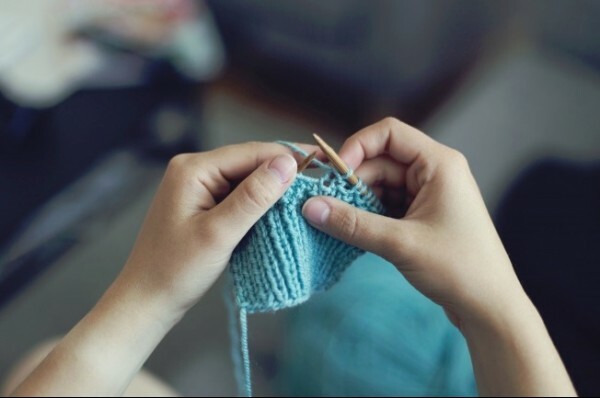 The first session will cover the basics, working at your speed to set you off on your knitting journey then catch up a month later to learn the next steps, ask questions and move your knitting on to the next level! All materials included and suitable for complete beginners. A brilliant skill with incredible benefits for wellbeing too. We’ll be making garter stitch pot-holders and have a pattern to take home so you can make another. Come with a friend or meet some new ones, all are welcome to come and enjoy the wonderful world of knitting. Note - the two dates are Wednesday 23rd January and 27th February.